The 21-year-old Frenchman has sat on the bench for the last two matches after Rodgers conceded that he had been affected by transfer speculation. Dembele, who signed from Fulham in 2016, has been linked with Crystal Palace and Brighton but ahead of the visit of Hibernian in the Ladbrokes Premiership on Saturday, manager Rodgers moved to dispel the uncertainty surrounding the player. 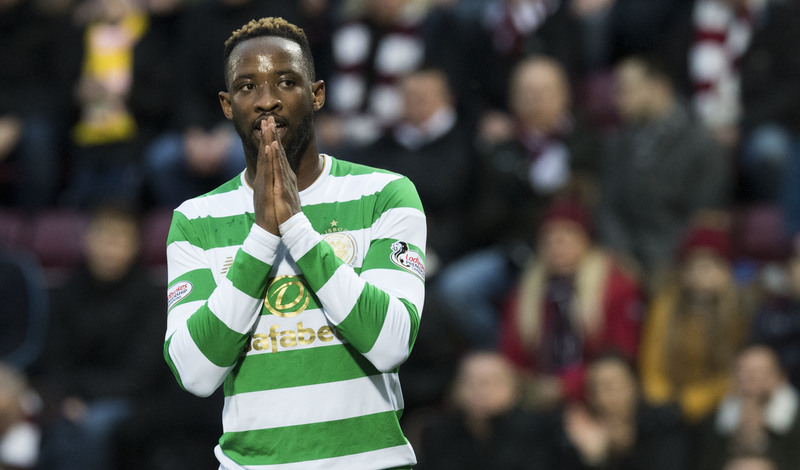 “Moussa has never once asked to leave Celtic,” he said. “We brought him here as a talented young player at 19 and he has shown that talent. “He has come in with a plan: his agent, himself and I know what the plan was but he has never asked once to leave. “He is fully committed to Celtic. “We have had one official bid for him that is nowhere near the value of what the value of Moussa is. But equal to that we have no interest in selling him. “He is not a player for sale, he has two and half years left on his contract. “He is an extremely talented young player. “Naturally, we said a few weeks ago about a little bit of focus but it’s only natural. “But he has trained, he is working well, is working hard and he is available. “That’s as clear as I can be. In defence of the player, because it is important for supporters to understand, this is a boy that is fully committed to Celtic. “He has been linked with so many teams so naturally the mind can wander but he is a great boy. “He won’t be like what you see in some clubs and what you have witnessed before, where players down tools. It is not the case at all.